Any home will not be complete without a garage for the big boys. More often than not, the wife takes care of the house while the husband takes care of the wife while inside his kingdom, the garage. Just like the rest of the home, the garage must look good too. The garage is often left neglected and just become a storage room. But most husbands would like to change all that and would like to create a good garage that can help them be more productive at home. Fixing up the garage doesn’t have to be a very costly experience. In fact, a garage doesn’t necessarily need to be over the top. Aside from a coat of paint, the only other thing it would probably need is a Rust-Oleum Garage Floor Coating (latest price: $137.85). 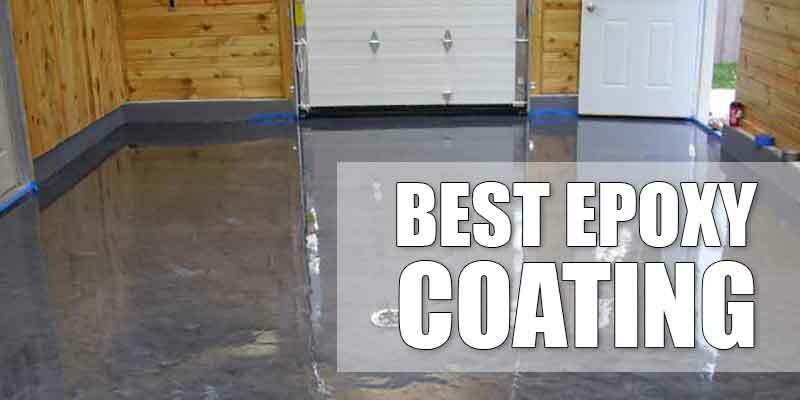 The Rustoleum Garage Floor Coating is a different kind of epoxy garage floor that is water-based. It is basically designed to finish garage floors. It is important to note, however, that it is not advisable for floors with moisture problems or floors with unreliable coating. This product comes in three variations. Consumers can choose either a gray, tint base or tan gloss. It dries out with a glossy finish. It has a solid color based on the three variations with around 32 color flecks to finish. 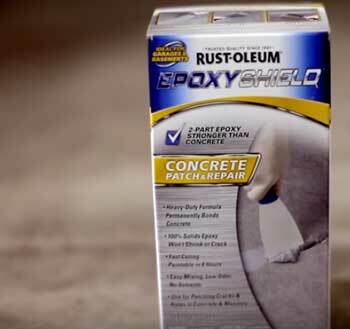 Once you purchase a Rustoleum Garage Floor Coating kit, you will usually get two components. Part A is the activator that weighs around 30 fl. oz. and Part B is the Base that weighs around 90 fl. oz.. Usually, there are also decorative chips for the color fleck finish and a concrete etch. You have to adequately prepare the surface that needs to be coated. 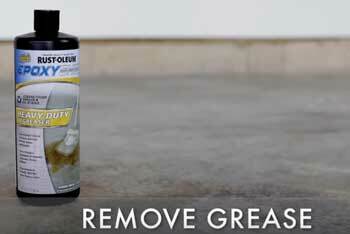 We recommend Rust-Oleum heavy duty degreaser to remove tough stains and oil spots. Make sure to wipe away any grease or oil spots on the floor. You may use any type of detergent or any degreasing solution for this. Allow the concrete to cure for at least 28 days up to a month. Etch your floor with the concrete etch that comes with the package. Use a brush to remove loose paint or any stain from the floor. If the floor was previously stained, make sure to remove it by shot blasting or grinding. To make sure that the Rustoleum Garage Floor Coating will properly adhere to the floor, scuff sand the surface prior to application. Make sure that the garage floor is dry. IMPORTANT: If you intend to remove old paint from your garage floor, make sure to wear a NIOSH-approved breathing apparatus. Removing old paint by sanding or scraping can release lead in the air. Lead is very toxic and exposure to this substance can lead to brain damage, especially in pregnant women and children. So, take the necessary precautions to avoid this problem. Prior to application, be sure to mix both components of the kit (Part A and Part B) thoroughly. You have to first pre-mix both parts separately, and then add the activator (Part A) to the base (B). Once you’ve pre-mixed both parts separately, you will then have to add Part A to B thoroughly for around 3 minutes. Do not mix the chips in yet during this process. If the temperature is around 16 up to 21 degrees Celsius, you can start trimming edges around 30 minutes right after mixing. Then you can start rolling the coat 15 minutes after brushing the edges. You have to use up the entire product within 2 hours. With this kind of temperature, it is important to apply this product during mid-afternoon at around 1 PM. If the temperature is around 22 up to 27 degrees Celsius, you will have to brush or trim the edges within 10 minutes from mixing. They you have to start rolling the coat after 5 minutes from trimming. You have to use the entire product within just 1.5 hours from mixing. Under this kind of temperature, it would be great to paint early in the morning at around 9 AM. If the temperature is over 27 degrees Celsius, you will need to brush or trim the edges of your garage floor immediately right after mixing the components. Then, start rolling around 5 to 15 minutes from brushing. You have to consume the entire batch within just 1 hour from mixing. It is also advisable to apply this early in the morning. You should only apply this product when the surface is completely free from any debris and that the surface temperature is around 15 – 29 degrees Celsius. The humidity in the area should not be over 85% for maximum adhesion. You can use a synthetic roller to apply the Rustoleum Garage Floor Coating on the floor surface. In order to apply an even coat, make sure that the roller is around ½ inches thick and 9 inches long. Also, it is best to apply the product to a limit of 4×4 foot at a time. This will make it easier to apply the colored chips. Apply the chips every 4×4 feet of freshly coated garage floor. Be sure to scatter the colored chips away from your direction in order for the chips to lay completely flat on the floor. Since you will need to apply the coating every 4×4 feet, you will need to maintain a wet edge to prevent any differences in the gloss of your floor. Since this product is made of epoxy, you will need to wash all your equipment and tools with a mild detergent and warm water after using. If the warm water doesn’t remove the product from your tools, you can use a lacquer thinner to do the job. It is important to clean up all your drips immediately because it will be harder to remove once dry. Rags need not to be re-used and will be better off disposed. 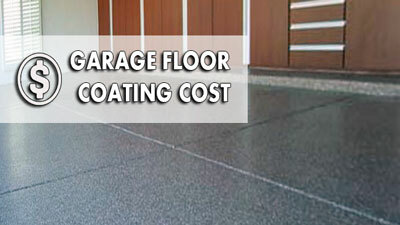 This coating is durable and will prevent your floor from the wear and tear of constant use. This will add more thickness to the floor that can help better absorb impacts. It also gives out a vibrant color to your floor. The colored chips give a great 3D like finish to your garage floor. The Rustoleum Garage Floor Coating will also be able to last longer, giving your floor its nice color finish extra protection. It gives off a glossy finish that is easy to clean. You can use any type of mop to glide over the surface easily. If you need scrub the surface, you will not need to worry about losing the color chips. The color finish provides an additional depth to your floor. With the Rustoleum Garage Floor Coating, you floor will look luxurious than before. You floor will always look its best with its glossy finish leaving it shiny. This will be a great feature especially for husbands that like to work on their cars because it can reflect and create more light even when under the hood of the car. The epoxy finish can also effectively hide scratches. Scratches are common around the house, more especially in the garage where most tools are placed. So, the Rustoleum Garage Floor Coating will be a great way to effectively hide scratches on the garage floor from plain sight. You can easily recoat this product to make it look brand new. 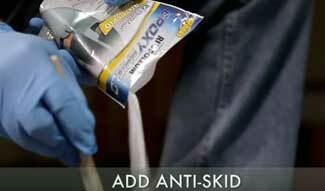 Even after many years of use, if done correctly the first time, you can easily add another layer of coating any time. 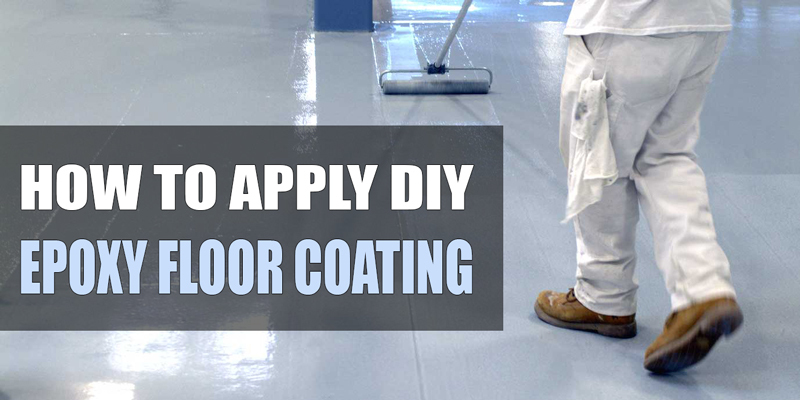 As indicated beforehand, the floor must first be prepared prior to the floor coating application. So, if the floor is badly prepared, the coating will not look its best. Making sure that the surface is clean from dirt and free of oils is not enough. Also, the Rustoleum Garage Floor Coating will not adhere to smooth surfaces. This is why you will need to etch the floor with the one included in the kit. If you don’t do these, you will end up with peeling and fish eye problems. These problems are created by contaminants like oil or any type of grease that can cause the coating to peel away from the floor. 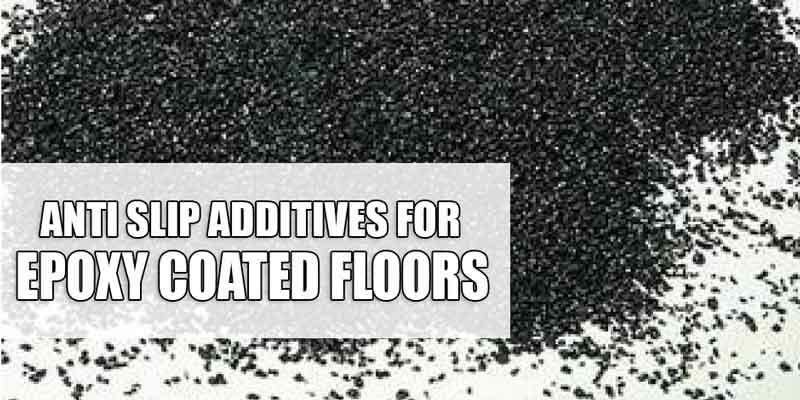 As stated beforehand, you have to ensure that the floor is completely dry prior to application. 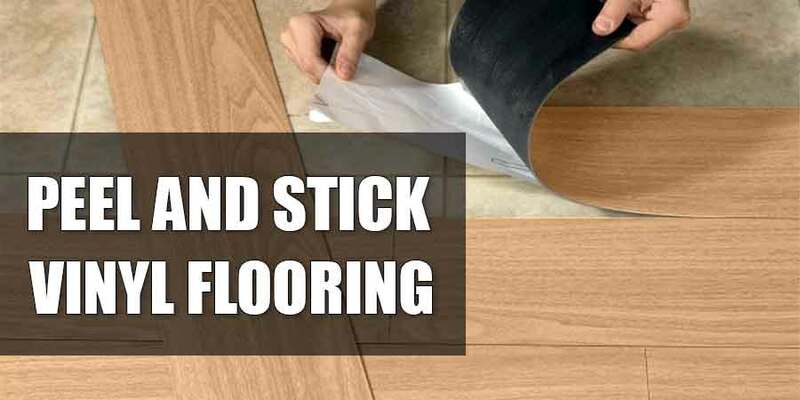 If you don’t do this, your floor will ultimately rise and create bubbles on the surface. You can avoid this problem by performing a moisture test. You can easily to this moisture test by performing a plastic sheet test. Just tape down a 16 x 16 inch plastic sheet on your floor and leave it for 24 hours. After 24 hours, check the inside of the plastic for any condensation or check if the concrete that was sealed is darker in color compared to the rest of the floor. If you see these signs, your floor is still very damp. This is also a common problem when the kit is stretched out to cover the entire surface even when the supply is low. You have to ensure that the entire surface will be properly covered by getting enough supply. If you stretch out the epoxy, you will end up with an uneven finish. Aside from that, you will also end up with a weaker floor coating. Be sure to check the label of the kit to know how much floor area it could cover. You have to read the instructions included in your package carefully in order to correctly mix the product. A common mixing error involves mixing the product too fast with a paddle mixer. 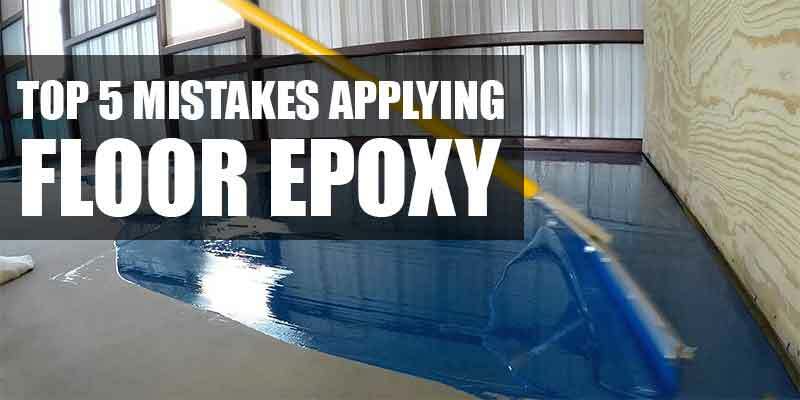 If you do this, your coating will get air bubbles upon application because you actually trapped air in the epoxy while you were mixing it. Also, it is important to take note of the induction time. Pay close attention to the instructions. If you don’t correctly do as needed, you may end up with a faulty product. Most products need to sit a while for a specific amount of time prior to application. Please see the information beforehand under application instructions regarding induction time. Products come with recommended instructions for humidity as well as temperature. If you apply the product in low temperatures, it will not harden and cure properly. If you apply the product in very high temperatures, the pot life (or the time available for application right after mixing) may be reduced because the product will dry out quickly. So, don’t forget to read and follow instructions carefully. This floor coating can be easily applied. If you just follow the instructions carefully, you can end up with a garage floor that can last decades. Most of the common mistakes done in garage floors can be avoided by reading the manual. So, be sure to take the necessary measures before pushing through with your garage floor project. I have a 2.5 garage kit and I want to use half of the kit for now. Do I mix one half of the each with one gallon of water or two? If correct proportions of FULL kit is 2 gallons, and you want to use exactly half of the kit, use 1 gallon.